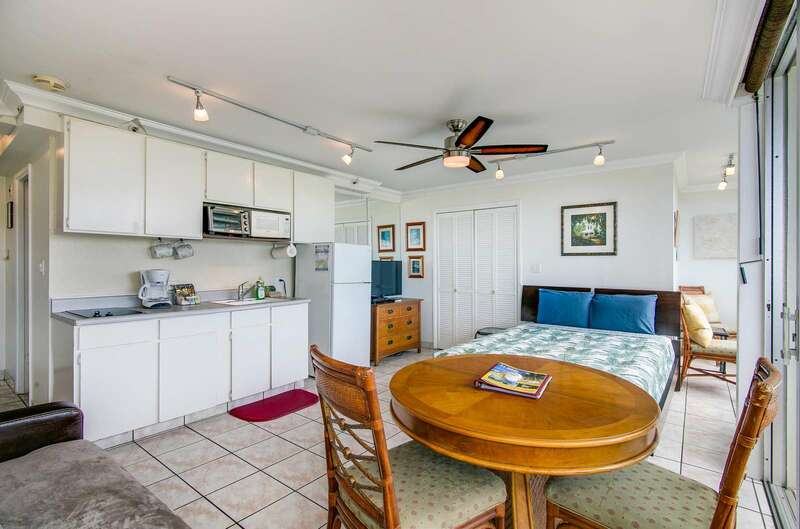 Great Space - Queen Bed, Dining Table and Sleeper Sofa! 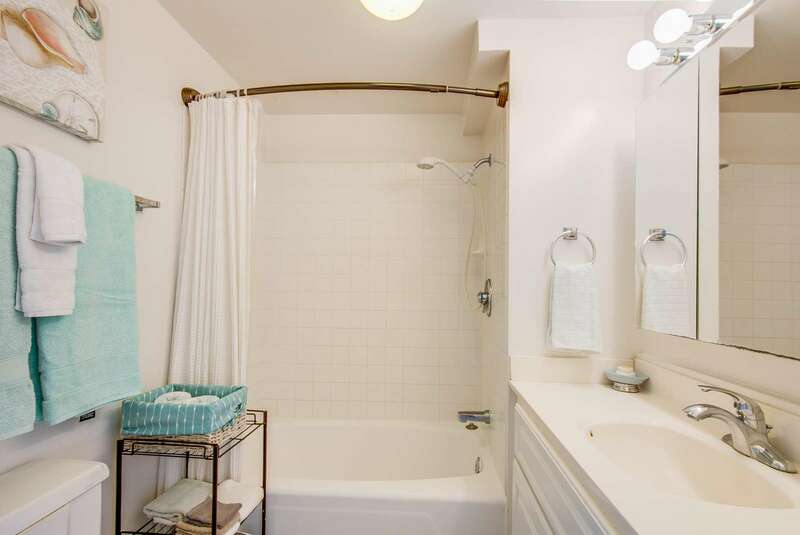 Great A/C unit Too! Friendly staff on-hand to help if needed. 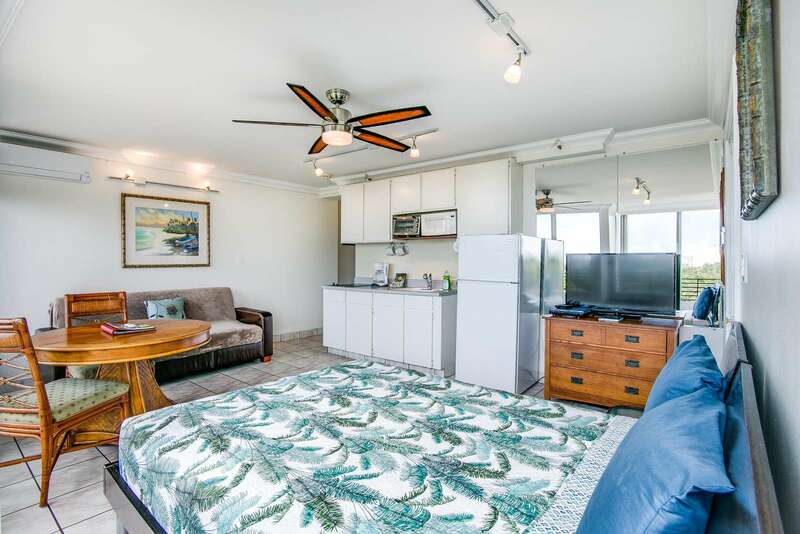 A/C , Cable TV and Wifi included Comfortable bed and plenty of hanging space Stove Tops & Full Size Fridge, Microwave and Toaster Oven.TV includes Cable Simple stylish, super close to beach and with a private balcony . 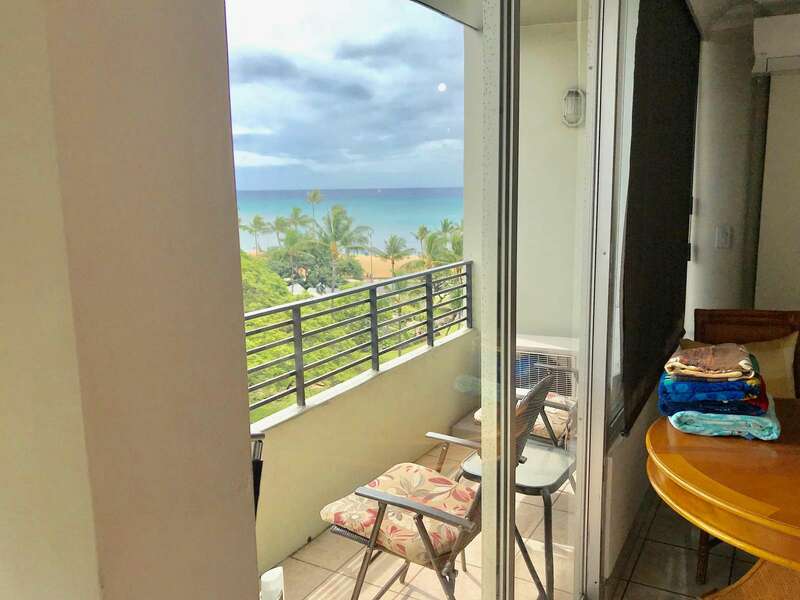 Gorgeous 7th Floor Views and "blackout" blinds if you want to sleep in the day the views will make you smile every day 🙂 Yes, the actual view from lanai - The park and Ocean Bright and clean bathroom We'll start you off with these in case you forget to pack them 🙂 Great Ocean Breezes. 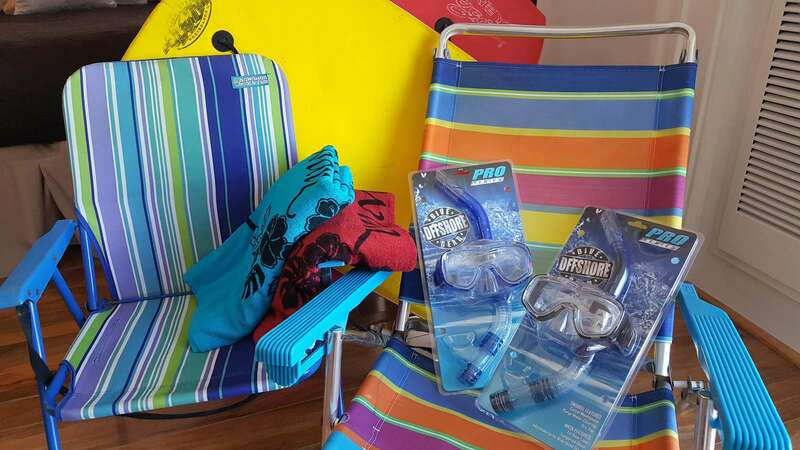 Yes we have Boogie Boards, Chairs, Yowls and Snorkels to use. 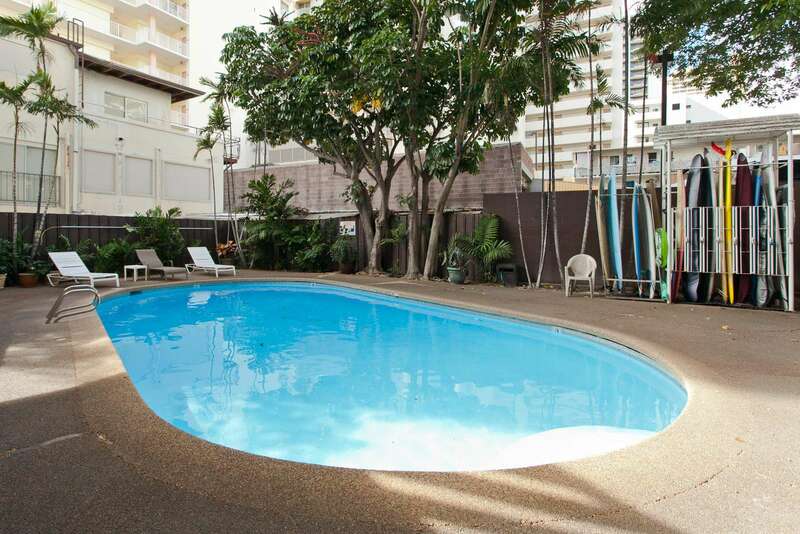 Improved pool area if you fancy a dip You'll be in the ocean and swimming in no time! 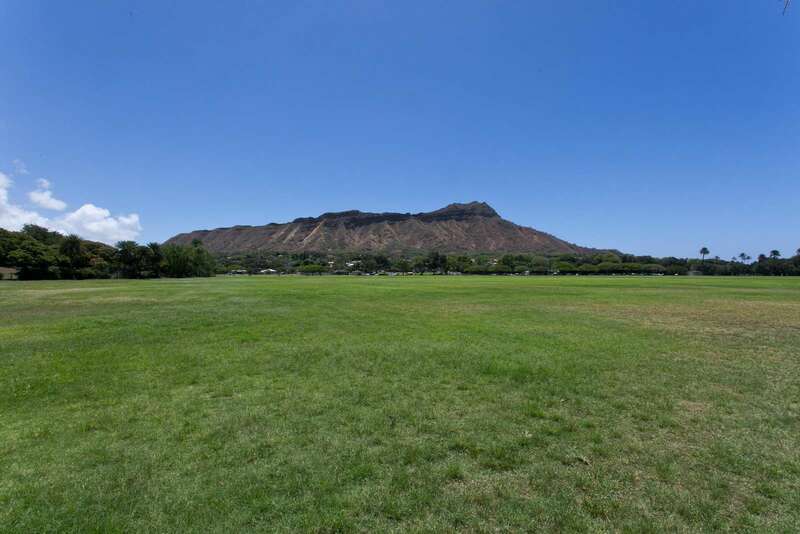 Send pics home of Diamond Head - It's right here. 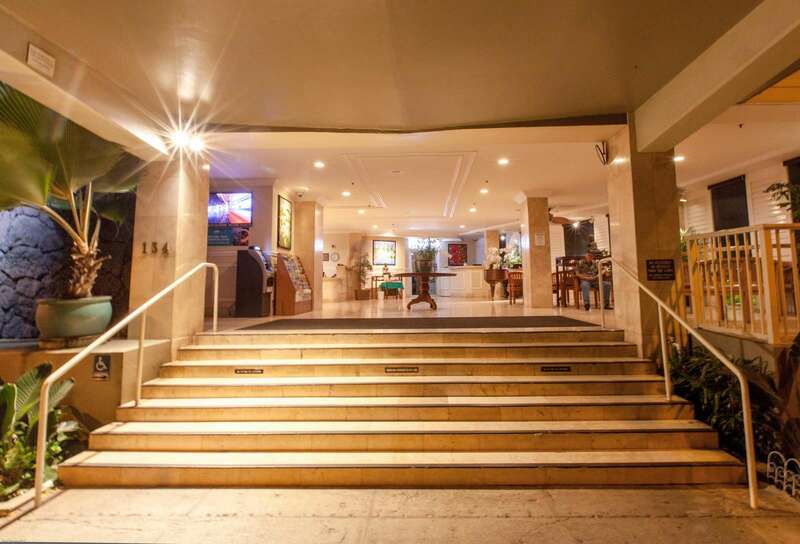 lobby entrance with grand piano player some nights Come and join us at the Waikiki Grand Diamond Head appears to change color at sunset. 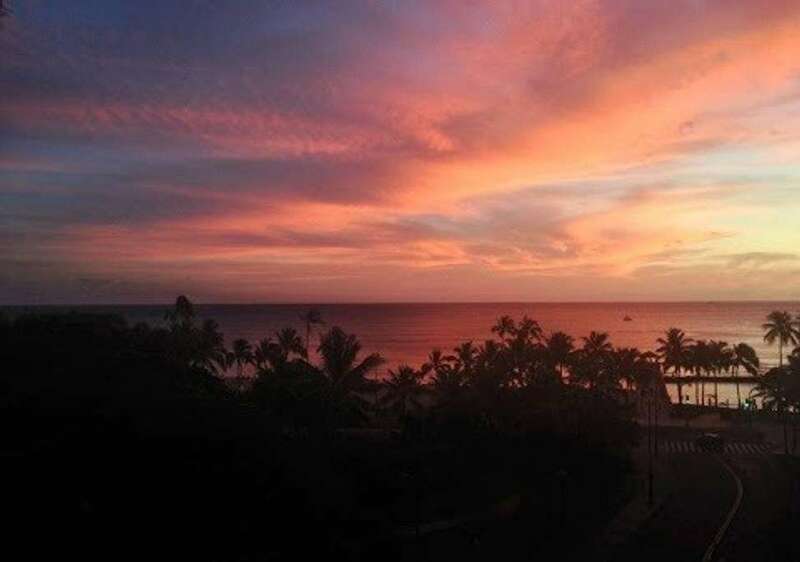 Amazing Winter Sunsets The waters here are awesome and clean Relax in the park redaing a book (or run around grabbing Pokemon™ LOL When can you get here to enjoy Waikiki? 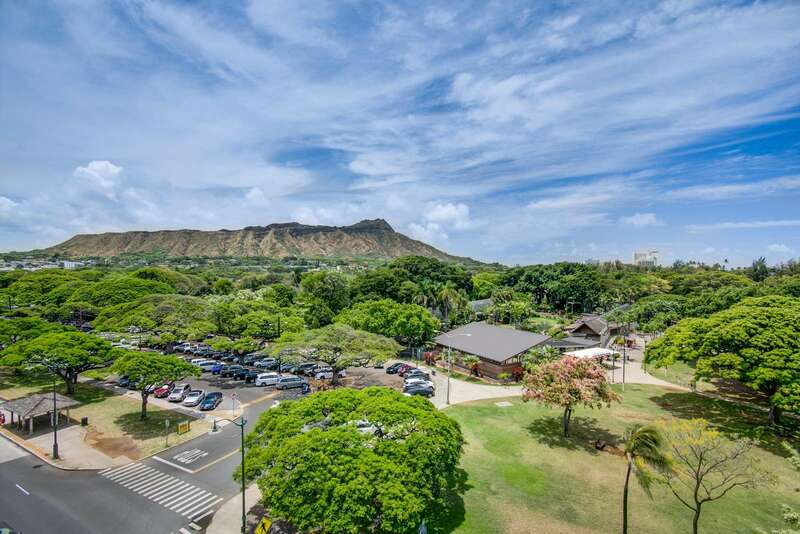 View from our rooftop deck - A great place for a glass of wine and to mingle 🙂 Thats Honolulu Zoo just ahead of us. 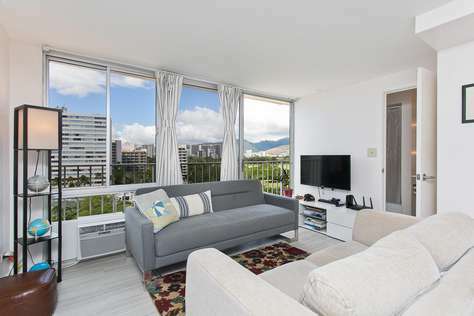 Suite 712 Studio condo with kitchen and lanai is located in the Waikiki Grand Hotel, across the street from the Honolulu Zoo and Kapiolani Park. 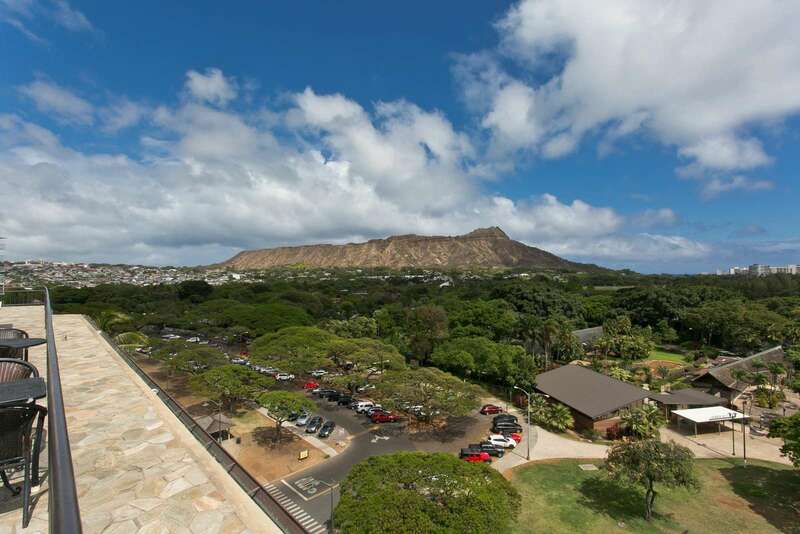 We have a spectacular view of Diamond Head, the park, Waikiki Beach and the ocean beyond. 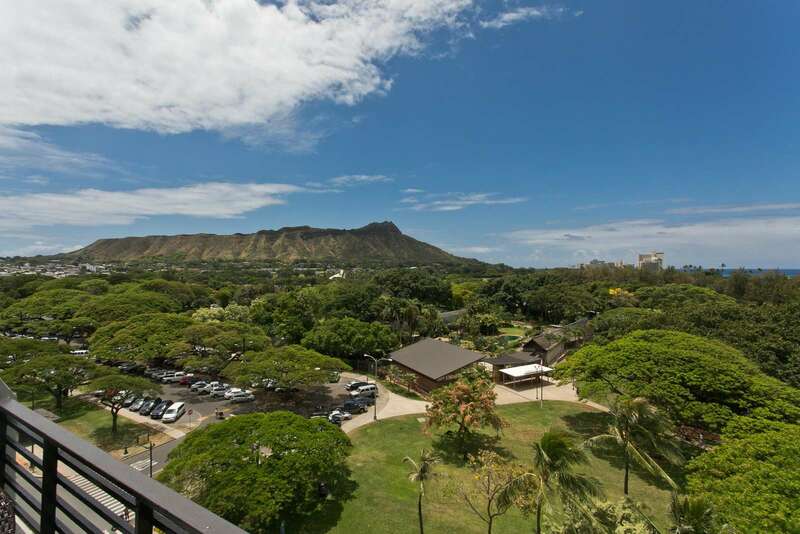 Suite 712 features views of Diamond Head, Kapiolani Park and Kuhio Beach. 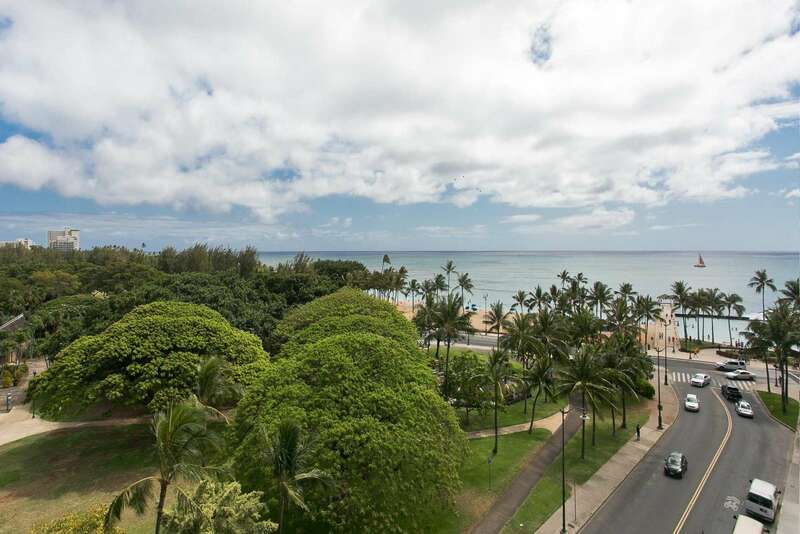 Enjoy Sunrise and Sunsets, movies on the beach, the roar of the lions from the zoo and the folks trekking back and forth to the beach all day. Enjoy unobstructed views of Diamond Head, Kapiolani Park, the Honolulu Zoo, Waikiki Beach and the ocean beyond. 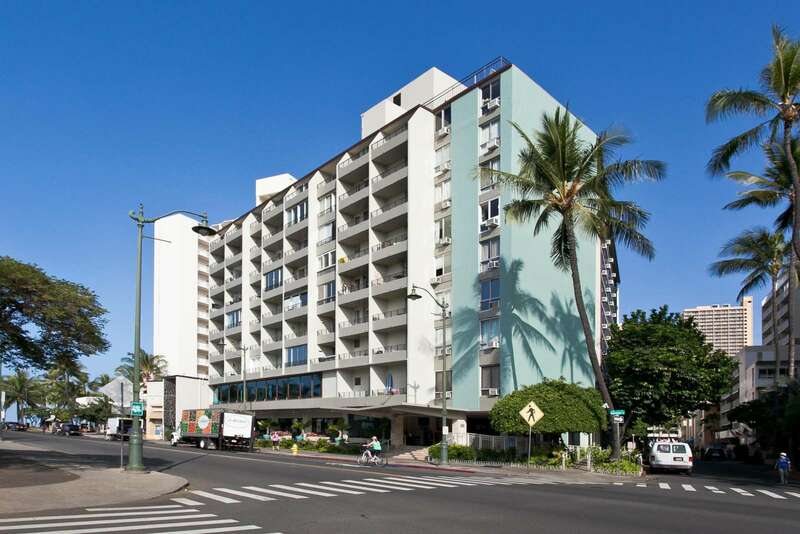 Our building is conveniently located at one end of Waikiki. 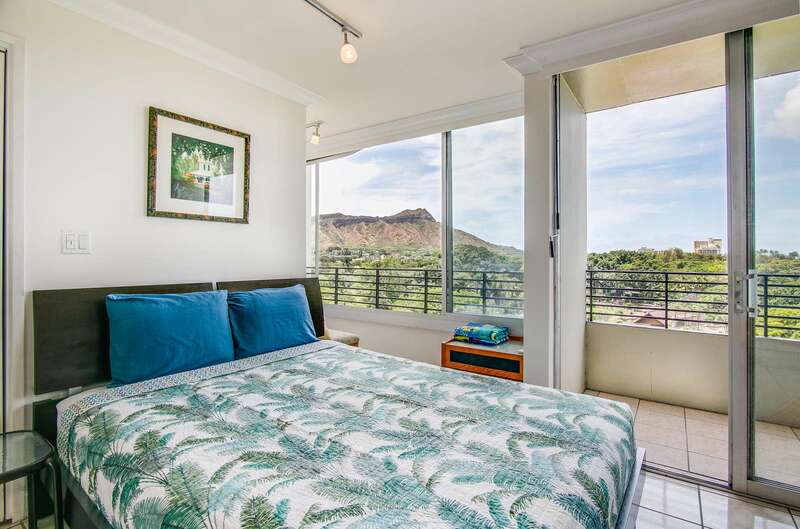 From our studio apartment on the 7th floor, you can see the pink flamingos of Honolulu Zoo, and hear the howling monkeys and early morning roar of the lions. 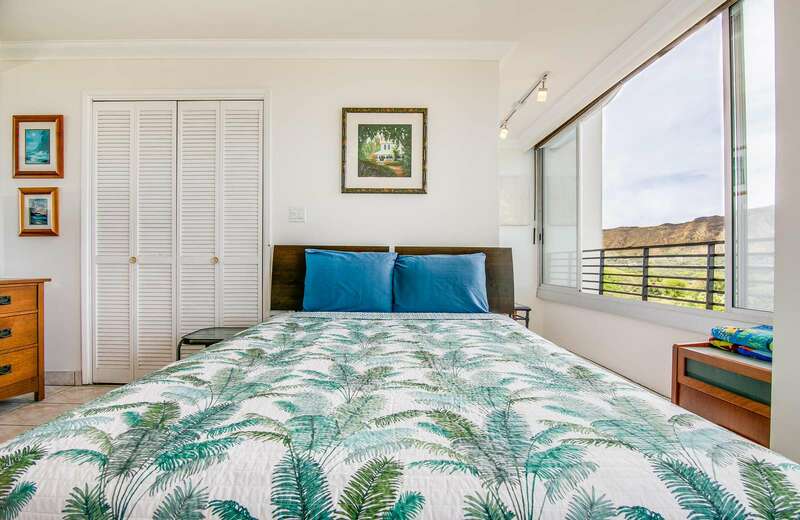 The studio is comfortably furnished with a dining table, 4 chairs, a queen size bed, a dresser and a sofa that opens into a twin bed. 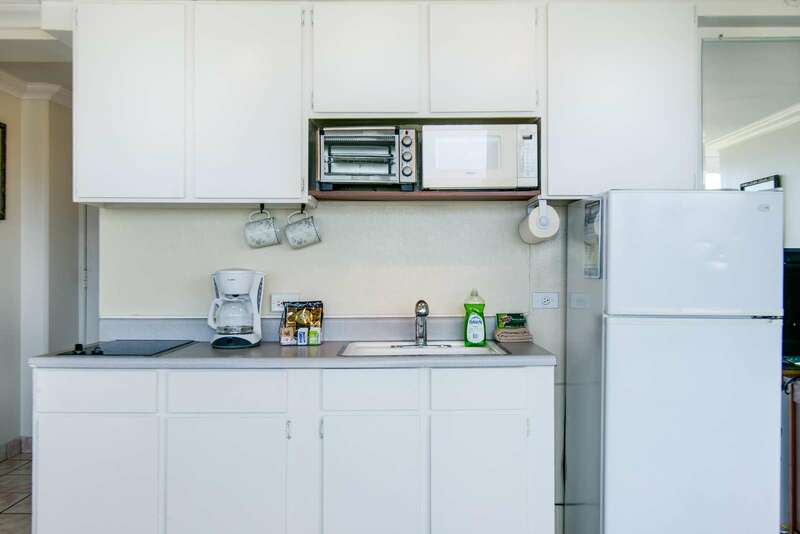 The unit also includes a 36” flat screen tv, coffee maker, microwave oven, full size refrigerator, and a two burner electric stove. There is also free wifi internet. On the ground floor you will find Teddy’s Burgers, which features breakfast items as well as some of Honolullu’s best hamburgers and milk shakes. 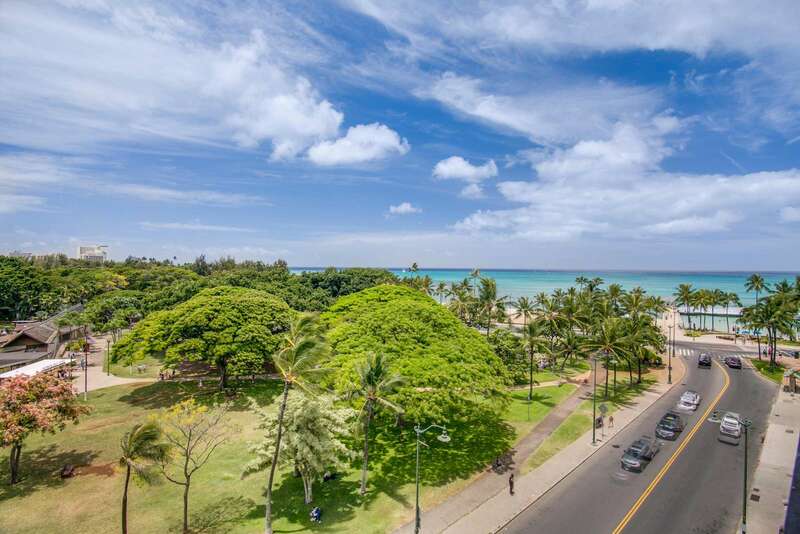 We also have a Starbucks a few doors away on Kalakaua Avenue where you can also stroll into the heart of Waikiki with its myriad cafes, restaurants and shops. One of our personal favorites, a block away, is Wolfgang Puck Express where you can grab a wonderful, wood-fired, pizza, a variety of salads, and excellent roast chicken at reasonable prices. 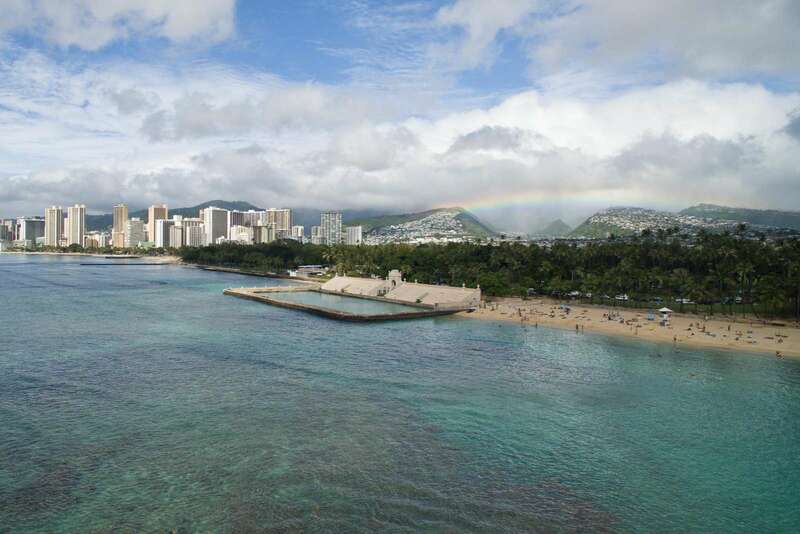 The bus service is excellent and we are at a hub where you can take buses to Ala Moana, downtown Honolulu, and even around the island. 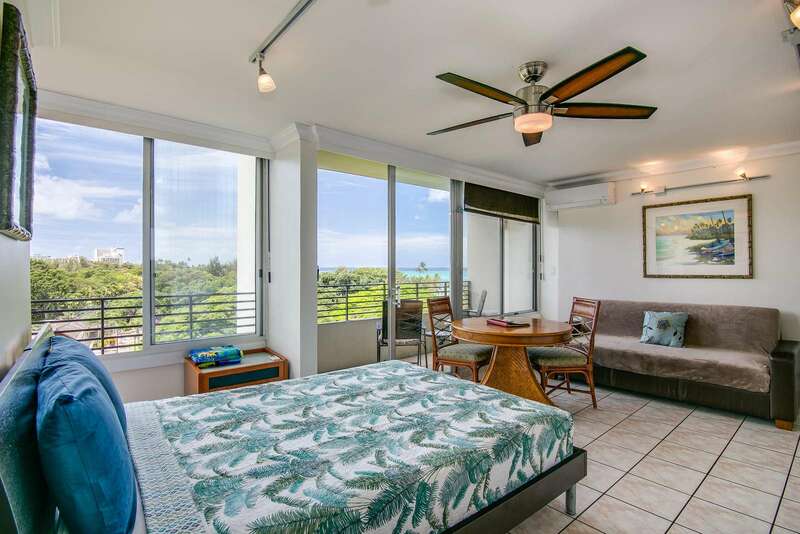 Our price INCLUDES all Hawaii accommodation taxes and cleaning fees. 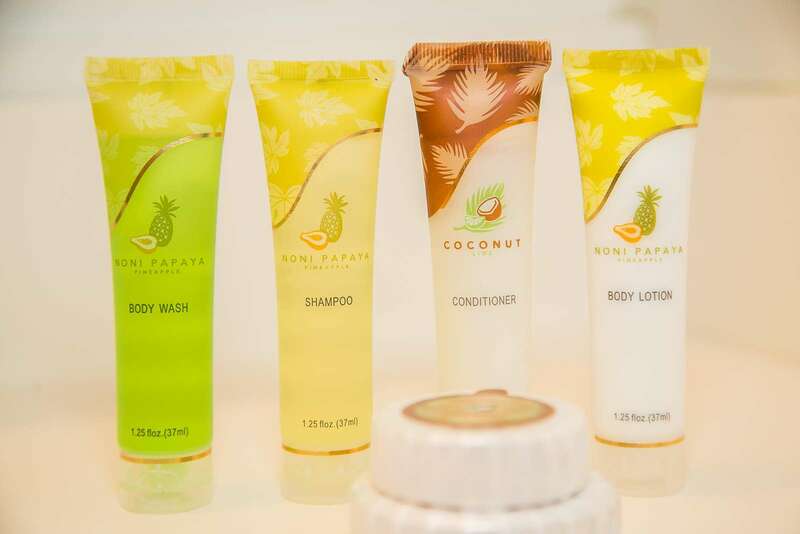 Contact us through Airbnb if you have any other questions. . 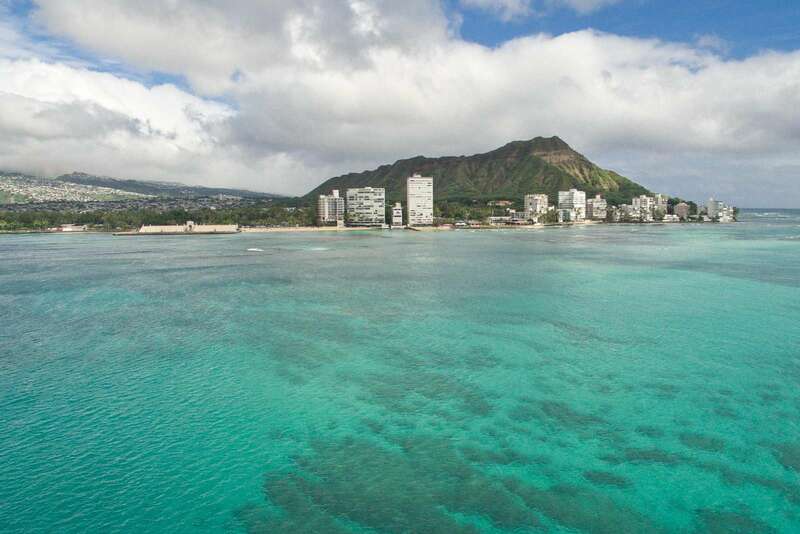 I've been coming to Honolulu for work for 30+ years -- and this is the best location and value -- and most amazing view. So fabulous to be able to walk barefoot to the swimming beach and head out in the evening anywhere I want for dinner. I'll be back soon. 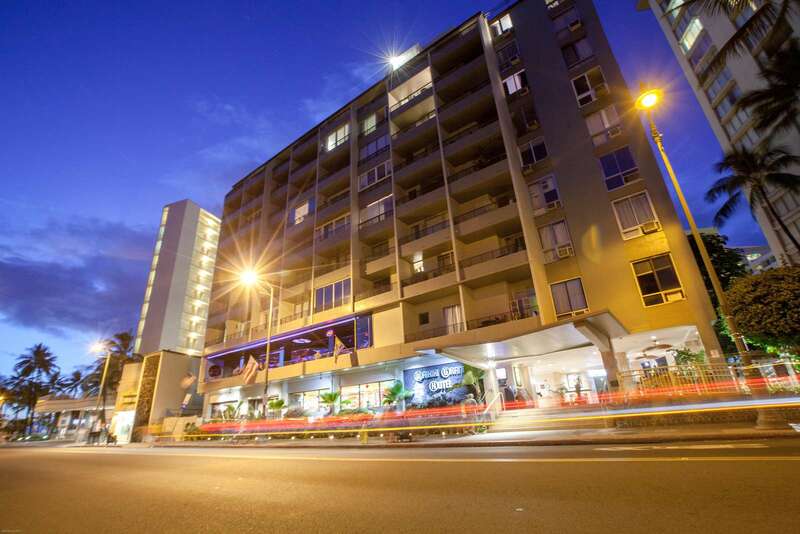 - all the comforts of home, in a spectacular location. 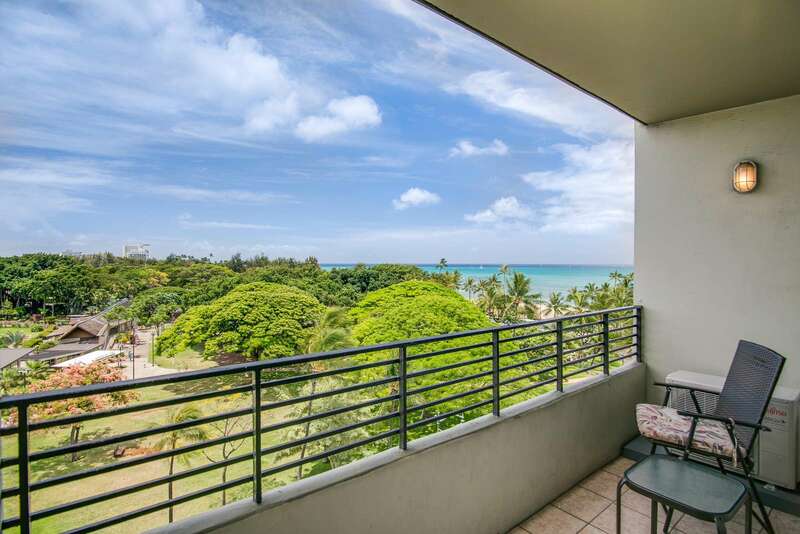 Truly a 3 minute walk to a beautiful stretch of Waikiki beach with sandy and coral sections close by. 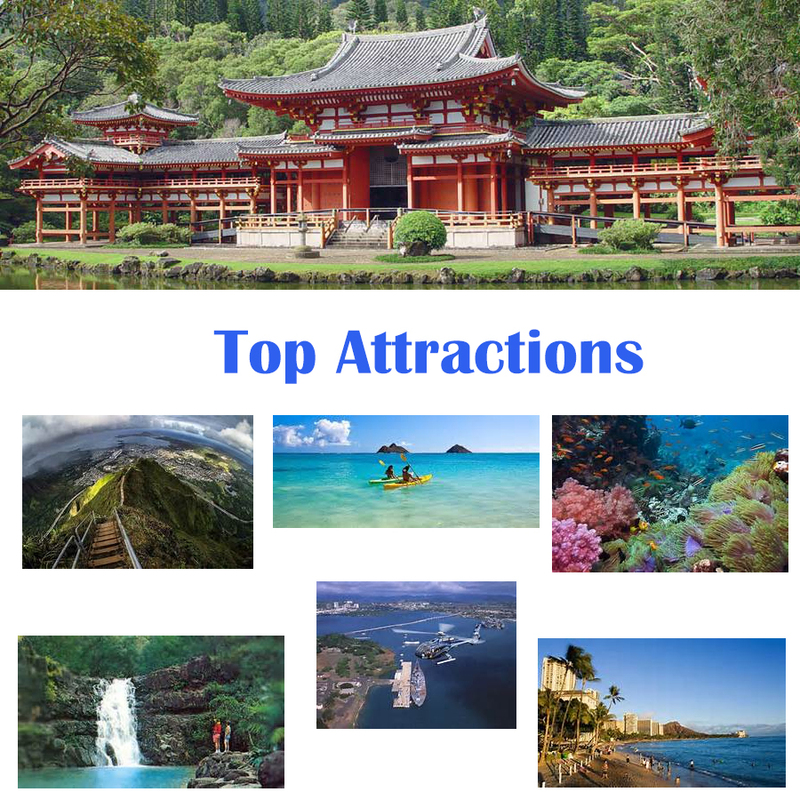 Some great restaurant options right there, too. 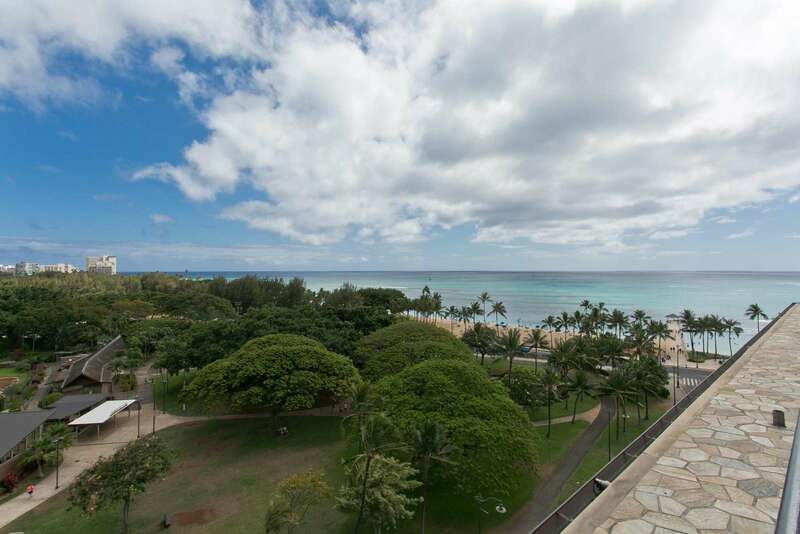 The view from the lanai of the Honolulu zoo and the beach makes this a perfect way to start and end each day. 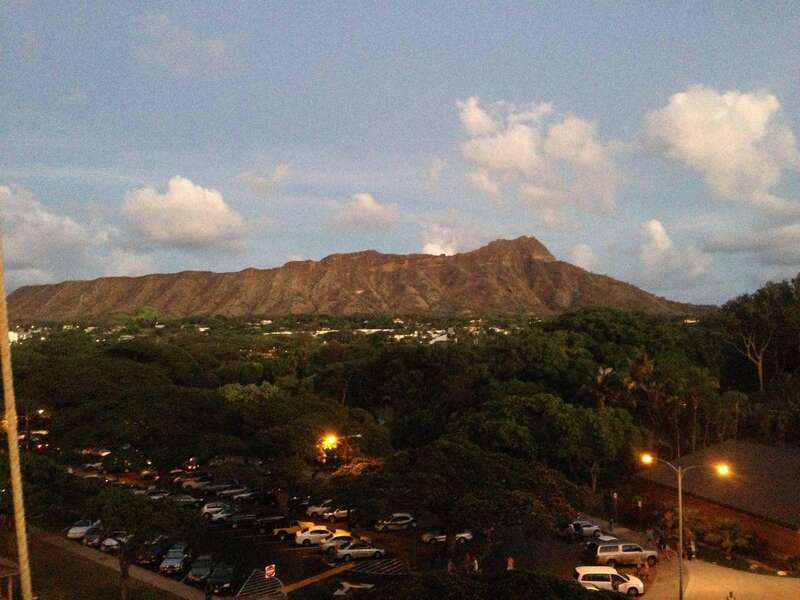 The sun comes up over Diamond Head and sets over the ocean. 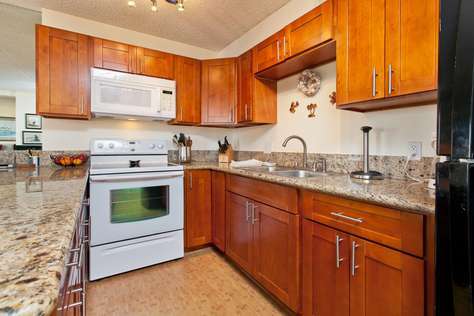 Charles took excellent care of us, and the apartment has everything you need: great TV options and a well supplied kitchen. 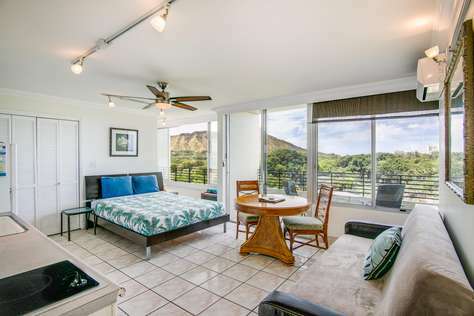 We would love to stay here again next time we are in Hawaii!